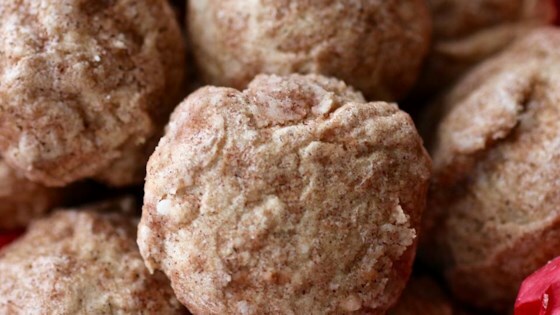 "A Mexican-style cookie rolled in cinnamon sugar." In a medium bowl, cream together 1/2 cup confectioners' sugar and butter until smooth. Stir in vanilla. Combine flour, salt, and 1/2 teaspoon of cinnamon; stir into the creamed mixture to form a stiff dough. Shape dough into 1 inch balls. Mix together 1 cup confectioners' sugar and 1 teaspoon cinnamon; roll balls in cinnamon mixture.